Amp up your look with the help of the Sperry Top-Sider Top-Sider Bridgehampton. Available in Black/Black, Gray Tortoise/Navy, and Tortoise/Sahara, these shades feature a modified oval shape to achieve a sleek look. Since they're designed specifically for wide faces, they're guaranteed to fit. Because they're made of plastic, they're super light-weight. They sport a cr-39 lens. 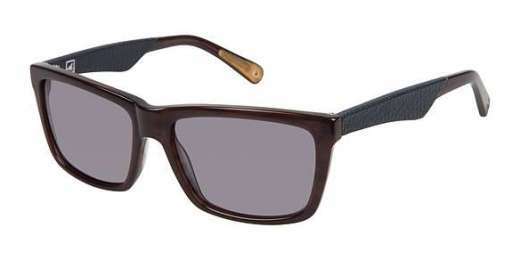 The Top-Sider Bridgehampton sunglasses come with an Other Ready to start seeing in style? Shop now!